Sing along to your favorite BTS SOLO (Bulletproof Boy Scouts) Songs! 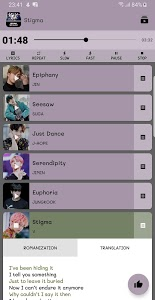 You can play many songs from favorite BTS SOLO (Bulletproof Boy Scouts) singers. This application is very easy to use. 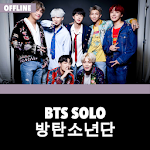 Find all songs and lyrics from every BTS SOLO Albums and Singles, complete with Romanization, Hangul, and English translation. The best Korean music of the year. Bangtan Boys Offline - Best songs & Lyrics. Similar to "BTS SOLO Offline - KPop"